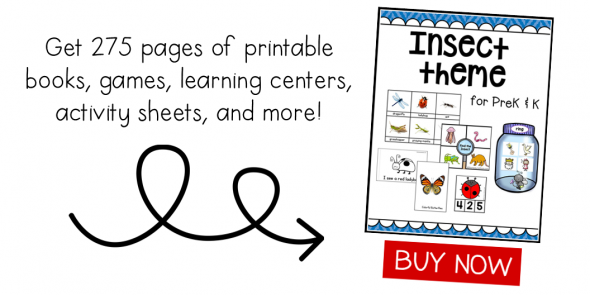 Today I’m sharing a fun activity that teaches a variety of early reading skills! 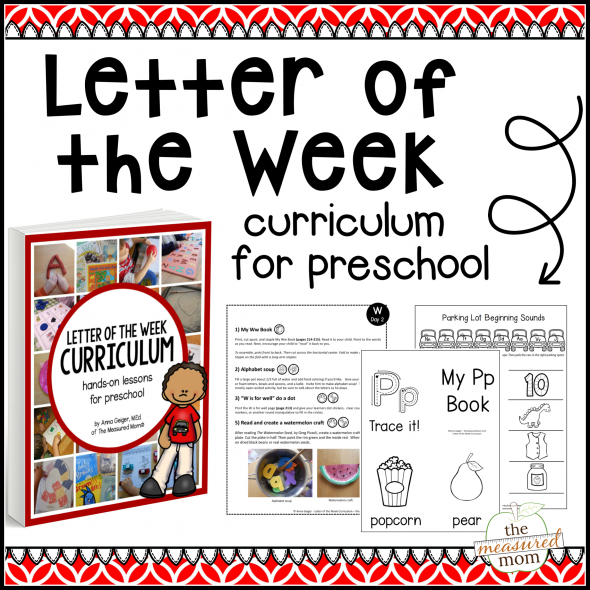 Looking for a fantastic, fun way to build early reading skills? Pocket chart sentences to the rescue! 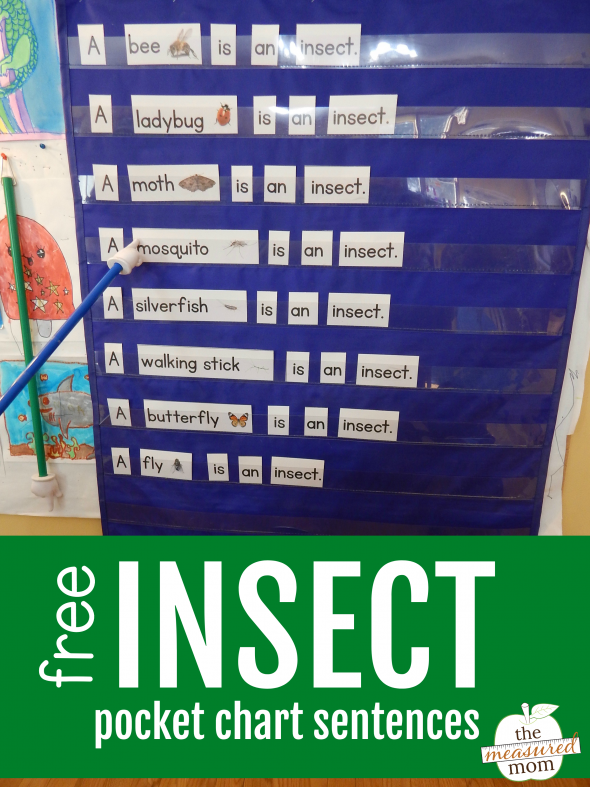 How can you teach all that with one simple printable? Here’s how it works! 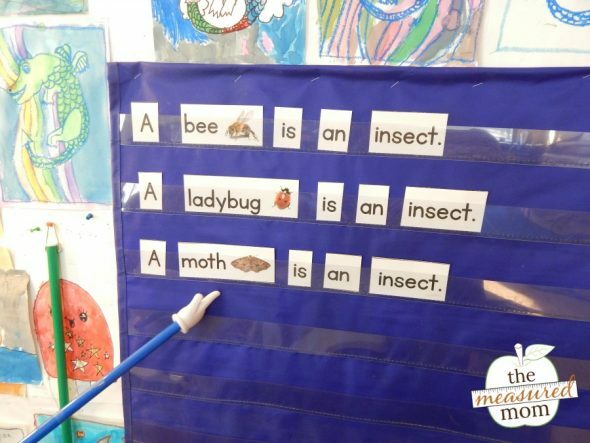 Next, cut apart the pocket chart sentences and place them on a large surface. Let’s make a sentence. 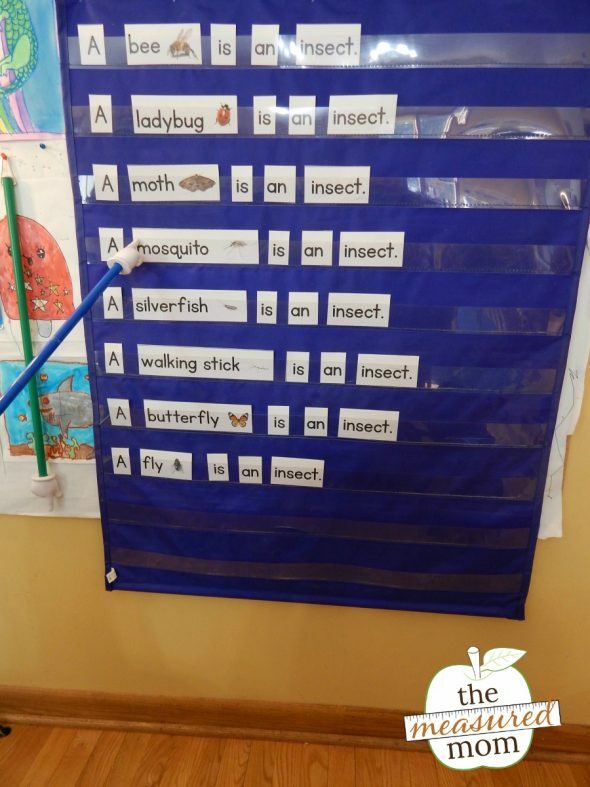 Which insect do you want to use in our sentence? A bee? Great! 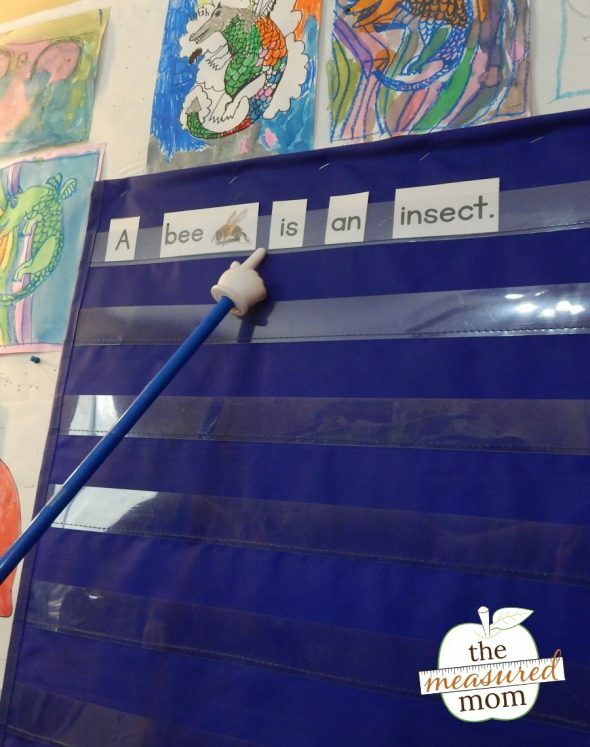 Okay, let’s make the sentence, “A bee is an insect.” Can you find the word “a”? That’s right. Let’s put it at the beginning. Now we need the word bee. Perfect. 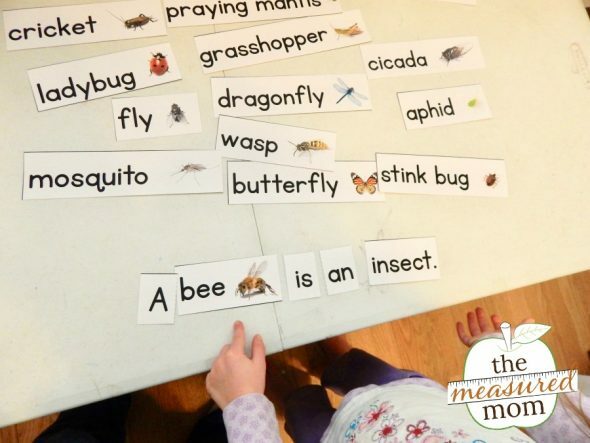 “A bee is …” We need to find the word is. Do you know which word says is? Let me help. We need a little word that starts with the /i/ sound. The letter i says /i/. Now can you find the word? So we have “A bee is …” Now we need the word an. It’s a little word that starts with a. You found it! One last word … insect. What sound do you hear at the beginning of insect? /i/, /i/, insect. We need another word that starts with i. There! Our whole sentence! 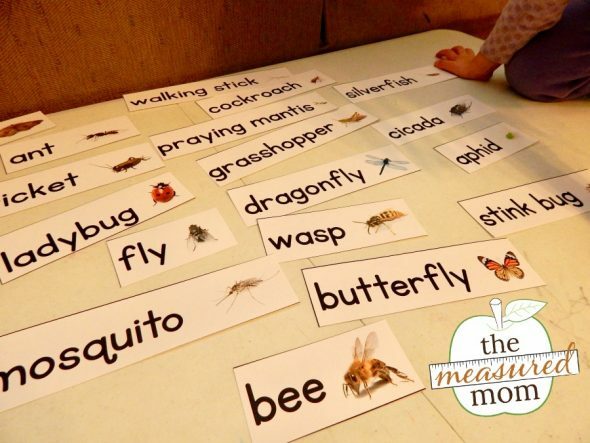 “A bee is an insect.” Let me see you point to each word as you read it back to me. *Note: When you see a letter in italics, like this – i – I’m referring to the letter name.When you see a letter in brackets, like this – /i/ – I’m referring to its sound. After we built the first sentence on the table, we put it on the pocket chart. She read it back to me using her pointer. We built more sentences right on the pocket chart. I helped her remember to leave spaces between each word. When we finished, she had a lot of sentences to read! Bonus – we also built her vocabulary. She had never heard of a silverfish or walking stick. 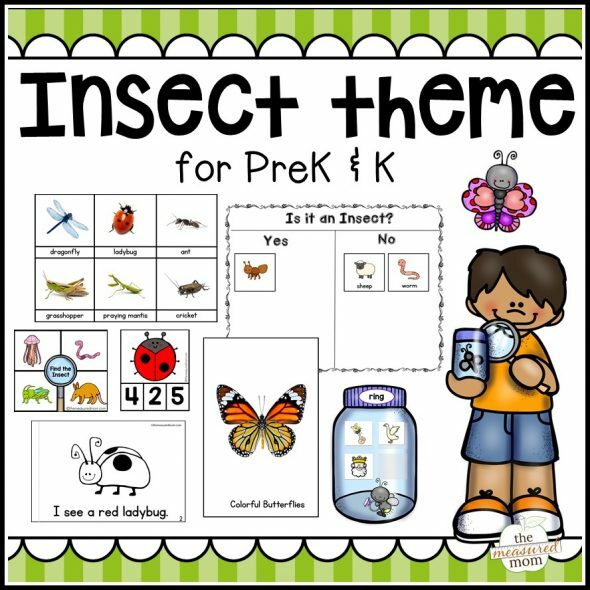 You can grab many more insect- themed activities in our theme pack for preschool and kindergarten. Or, if you’d like, just download the free pocket chart sentences below. Thank you for the free printable.